In this file photo, Turkey's President Recep Tayyip Erdogan is seen in Ankara, Turkey, Saturday, July 7, 2018. 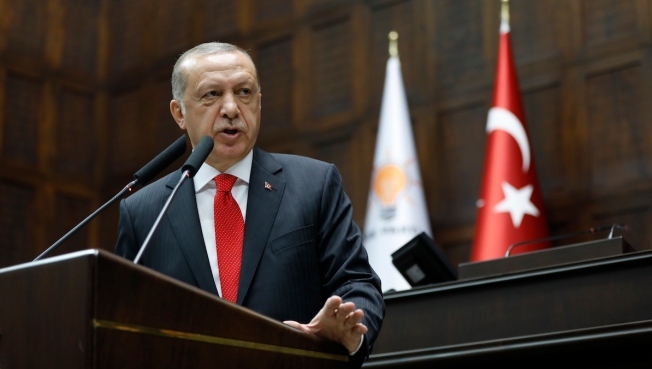 Turkish President Recep Tayyip Erdogan warned the U.S. on Saturday that his country does not respond to threats, a day after President Donald Trump sent the lira into freefall by announcing he would double the rate of import tariffs on Turkish metals, NBC News reported. "You can never bring this nation in line with the language of threats," Erdogan told a crowd of supporters in the Turkish town of Unye on the Black Sea coast. "I am once again calling on those in America: It is a pity that you choose a pastor over your strategic partner in NATO," he said.